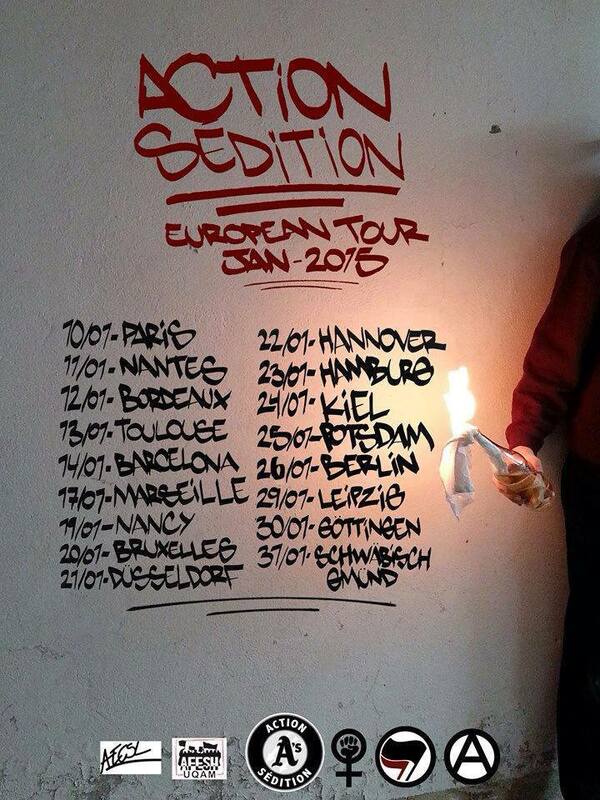 January 2015: Action Sédition over Europe ! Today the mighty Action Sédition from Montréal hopped over to Europe to use the next weeks for touring around in France, Catalunya, Belgium and Germany. Make sure you don‘t miss them in your neighborhood!!! 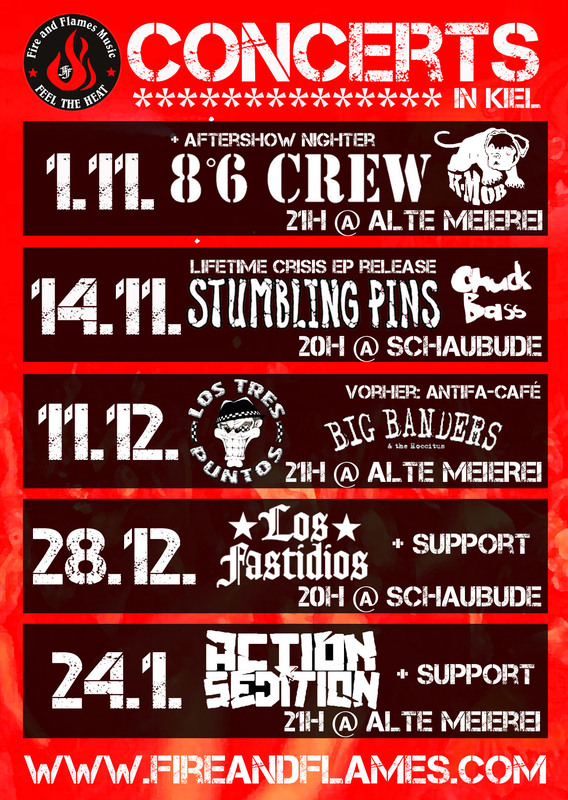 In exactly two weeks, on january 24th we‘ll present their night of hard rocking red and anarchist oi supported by those real antifa punx ContraReal from Hamburg at our beloved Alte Meierei Kiel. Total anticipation! Du browst gerade in den Fire and Flames Weblog-Archiven nach dem Tag 'action-sédition'.